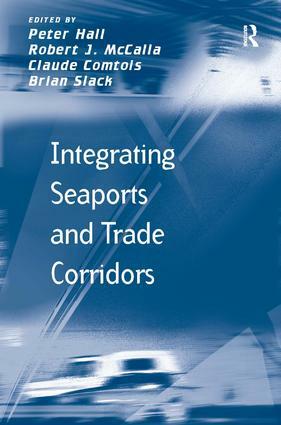 Seaport gateways and the corridors which connect them to widely dispersed hinterlands are of vital and essential importance to international trade and the world economy. Distributing goods to ultimate land destinations or bringing the goods to seaports from inland origins is organizationally complex involving multiple actors. This book furthers understanding about how this movement is organized, the role of ports acting as gateways and the actions of corridor players. A key question that confronts the shipping and port industries, as well as public authorities, is how to increase the benefits of maritime trade to the companies and institutions directly involved as well as the port city-regions where the transfers take place? This question is being posed in the midst of a global economic recession and trade downturn, and in the context of contemporary policy frameworks whose goals are to generate economic benefits and efficiencies rather than to maximize traffic volumes. This book puts into perspective the reality, opportunities and challenges facing seaport gateways and corridors now and in the future. Peter Hall, Associate Professor of Urban Studies, Simon Fraser University, Vancouver, British Columbia, Canada, Robert J. McCalla, Professor of Geography, Saint Mary's University, Halifax, Nova Scotia, Canada, Claude Comtois, Distinguished Professor Emeritus, Université de Montréal, Canada and Brian Slack, Department of Geography, Concordia University, Montréal, Québec, Canada.